We have been looking forward to the arrival of the next fresh crops of Africans for a while since we last featured an African bean (Rwanda Nyamasheke Karengera). African beans always have a special place in our hearts and few will argue about the uniqueness of their aromas and flavours coming from beans originating from this region. The first African bean that we are rolling out from our new arrivals will be from an old-time favourite origin, Ethiopia, a country also known as the birthplace of coffee. 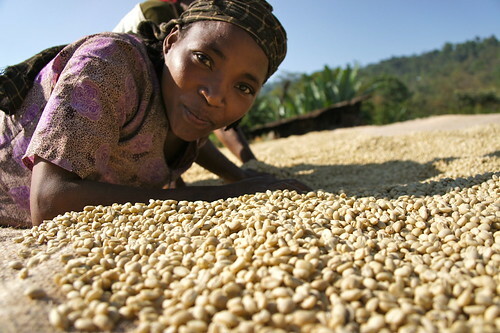 Some interesting facts about this country – there are more than 1 million small coffee farmers (smallholders) representing 95% of the coffee production in Ethiopia. The varieties are referred to collectively as Ethiopian Heirloom, which is a myriad of local native Typica hybrids and new improved varietals based on the old strains. Most coffees are organic by default. This coffee is a result of a sustainable Technoserve project in the western part of the country. Technoserve is a NGO supporting the farmers in setting up washing stations and new cooperative structures, based on transparency and increased quality production. Technoserve’s coffee initiative is a project measuring their success in the value and quality of the coffees produced and the farmers’ increase in their coffee income. All cooperative members qualify for second payment. This has so far contributed to a significant increase in payment for the local coffee farmers. Debello is one of the strongest and best managed cooperatives in the Limu area with about 500 smallholders. Though the cooperative buys from non-members as well, but they do not qualify for second payment as cooperative members do. They strictly adhere to the lot traceability system and maintain very high quality controls through the process. The cherries are hand-sorted for unripes and overripes by the farmers before they go into production. 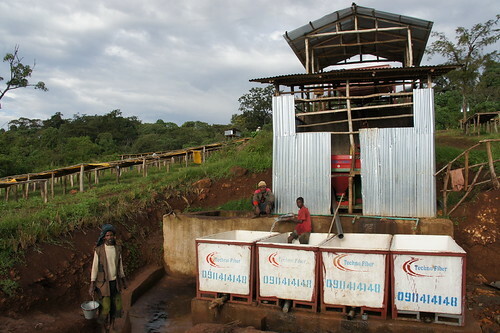 The cherries are pulped and mechanically demucilaged, soaked in water and sun-dried on African drying beds. The cooperative has also implemented various measures to reduce cost, such as using solar powered lights as an energy source as well as implementing a waste water treatment program. This particular coffee is certified organic. We feel this coffee is best enjoyed as a filtered coffee. Lovely jasmine aromatics with lemon-lime like acidity. Complex juicy fruits are complemented by a delicate body. The finish is sweet with notes of candy sugar and peaches. Brewing with Aeropress accentuates the sweetness, while its fruit tea characteristics and clean cup profile shines through with the Kalita wave dripper. We are expecting this coffee to be a crowd pleaser, so don’t miss out on one yourself! Varietals: Ethiopian Heirloom. Native coffee of forest origin transferred to family smallholder plots. Processing: Pulped and mechanically demucilaged, soaked in water and sundried.